Indonesia will begin proceedings to ratify the Comprehensive Test Ban Treaty (CTBT), Foreign Minister R. M. Marty M. Natalegawa announced May 3. “Indonesia is initiating the process of the ratification,” he said during Indonesia’s opening statement at the 2010 Nuclear Nonproliferation Treaty Review Conference at the United Nations. “It is our fervent hope that this further demonstration of our commitment to the nuclear disarmament and nonproliferation agenda will encourage other countries that have not ratified the treaty to do the same,” he added. Indonesia is one of nine remaining “Annex 2” states whose ratifications are required for the treaty to enter into force; the other eight are China, Egypt, India, Iran, Israel, North Korea, Pakistan, and the United States. Under Annex 2 of the CTBT, 44 specified countries must ratify the treaty to bring it into force. Indonesia signed the CTBT in 1996, on the first day it was opened for signature. In April 2009, Obama pledged to pursue U.S. ratification of the CTBT and is expected to do so after Senate consideration of the New Strategic Arms Reduction Treaty. Meanwhile, Trinidad and Tobago and the Central African Republic deposited their instruments of ratification for the CTBT on May 26, bringing the total number of ratifications to 153. The United States has agreed to provide prelaunch notification for the majority of its ballistic missile and satellite launches, officials said last month. The United States sent a confidential note to the secretariat of the Hague Code of Conduct Against Ballistic Missile Proliferation (HCOC), Peter Launsky-Tieffenthal, spokesman for the Austrian Foreign Ministry, which coordinates HCOC information exchanges, said in a May 25 interview. The U.S. move, which was first reported by the Associated Press, was “a confidence-building measure,” he said. A U.S. Department of State official said in a May 28 interview that Washington had recently completed a review of its policy on prelaunch notifications and decided to issue such notifications of commercial and NASA space launches, as well as “the majority” of its intercontinental and submarine-launched ballistic missile launches using the HCOC process. The United States had been abiding by the December 2000 Memorandum of Understanding on Notifications of Missile Launches with Russia instead of the HCOC, he said. Consistent with its position at the time of the HCOC’s creation in November 2002, the United States will “on rare occasions” withhold launch information on certain ballistic missiles or space-launch vehicles, he said. Launsky-Tieffenthal said the U.S. prenotification plans were to be further discussed at the next regular meeting of the HCOC, scheduled for May 31-June 1. Sixty-eight senators last month expressed support for the Obama administration’s review of U.S. landmine policy as well as a potential presidential decision that would lead to joining an international treaty banning their use. The senators were referring to the 1997 Convention on the Prohibition of the Use, Stockpiling, Production and Transfer of Anti-Personnel Mines and on Their Destruction, also known as the Mine Ban Treaty. Before the United States could join the treaty, at least two-thirds of the Senate—67, if all 100 senators are present—would have to support it. Treaty advocates said the 68 signatures on the letter make a decision to join the treaty easier for the administration. Key members of Senate committees, including Senate Foreign Relations Committee Chairman John Kerry (D-Mass.) and ranking member Richard Lugar (R-Ind.) and Senate Arms Services Committee Chairman Carl Levin (D-Mich.), signed the letter, which was circulated by Sens. Patrick Leahy (D-Vt.) and George Voinovich (R-Ohio). Obama received a similar letter from 57 House members. In 2009 the administration announced it would conduct a comprehensive review of landmine policy and attended a meeting of treaty states-parties for the first time. (See ACT, December 2009.) That review is ongoing, and the administration has not indicated whether it plans to join the treaty. Under a policy inherited by the Obama administration, the United States this year will forswear use of persistent mines, also known as “dumb mines,” but retain so-called smart mines, those equipped with self-destruct mechanisms. Both types of mines are prohibited by the treaty. So called “command-detonated” mines, which require an operator to detonate them intentionally, are permitted. The United Kingdom, a key U.S. ally and past user and producer of cluster munitions, ratified the Convention on Cluster Munitions May 4, becoming the 11th NATO member to do so. Since February, when the treaty met its minimum number of 30 ratifications needed to set an entry-into-force date, Ecuador, Samoa, and the Seychelles have also ratified the accord, bringing total ratifications to 34. In April, Mauritania signed it, raising the total number of signatories to 106. Five years after President George W. Bush orchestrated the June 13, 2002, U.S. withdrawal from the 1972 Anti-Ballistic Missile (ABM) Treaty to build an “effective” missile defense, the system remains unproven or insufficient in the eyes of many. Yet, Bush administration officials say that their fledgling strategic missile defense system proved its worth when North Korea fired several ballistic missiles into the Sea of Japan last July. Right before the tests, the Bush administration activated the system as a precaution. Secretary of State Condoleezza Rice and Secretary of Defense Robert Gates penned an April 26 Daily Telegraph piece claiming that the defense had helped “promote stability” by allowing U.S. leaders “to consider a wider, more flexible range of responses to a potential attack.” John Rood, assistant secretary of state for international security and nonproliferation, declared in a Feb. 27 speech that the system’s activation had “heartened” him. North Korea’s missile launch preparations were no secret last June and had been reported generally as being for testing purposes. Still, Rick Lehner, a spokesperson for the Pentagon’s Missile Defense Agency (MDA), told Arms Control Today May 29 that North Korea’s intentions were not known and, therefore, the “system was brought to alert status in case it was needed to defend the country.” As it turned out, the system was unneeded because North Korea was conducting flight tests, and the Taepo Dong-2, the missile of greatest U.S. concern, flopped approximately 40 seconds into its inaugural flight. Not everyone has such confidence. Skeptics and critics point to what they say is skimpy and rudimentary testing of the system, which has components stretching from radars in Japan and the United Kingdom to 18 interceptors deployed in Alaska and California. On the other hand, some missile defense supporters criticize the administration for not being ambitious enough after pulling out of the ABM Treaty, which barred Moscow and Washington from developing nationwide strategic ballistic missile defenses. Although Russia initially had a muted reaction to the U.S. treaty withdrawal, Russian leaders now more strongly assert that U.S. missile defenses, particularly a plan to base interceptors in Poland, are provocative. They imply that if Washington continues to proceed, it could trigger another arms race, which is what Bush and other senior administration officials said would not result from a U.S. ABM Treaty exit. Despite its proclaimed confidence in the Ground-based Midcourse Defense (GMD), which was the system activated last summer, the administration has had trouble convincing others to share the same view, largely because it has performed few visible tests over the past several years. Indeed, since Bush’s December 2002 decision to deploy the GMD system, only one successful intercept test has been conducted. The MDA hoped to double this tally with a May 25 test, but the experiment was scrubbed when the target missile failed to fly properly. Obering said the agency would try again this summer. The sole, recent success came Sept. 1, 2006, when a GMD interceptor fired from Vandenberg Air Force Base, California, obliterated a mock warhead launched south from Kodiak Island, Alaska. (See ACT, October 2006.) The interceptor is comprised of powerful boosters that lift into space an exoatmospheric kill vehicle (EKV) that detaches from the boosters and, using radar updates and onboard sensors, hones in on and collides with a target at a combined closing speed of 35,000 kilometers per hour. The test differed significantly from its 10 predecessors, five of which ended in intercepts. The September experiment involved an interceptor model that was the same as those currently deployed and also involved operational crews and radars, as well as a target trajectory more closely resembling one that a North Korean missile might travel. Previously, targets were shot away from California west over the Pacific Ocean toward the Marshall Islands, from where the test interceptors were fired. Some critics dispute the claim that the recent test was realistic. In a May 23 Arms Control Today interview, Philip Coyle, former director of the Pentagon’s Office of Operational Test and Evaluation, said the latest test was “the simplest” to date and “less challenging than tests that I oversaw,” highlighting the absence of decoys in the recent test. Previous tests included one to three decoys, although they did not closely resemble the target. Coyle, who is currently a senior adviser at the nonprofit Center for Defense Information, contends that the Achilles’ heel of the system is countermeasures, including decoys, because the system cannot discriminate between real targets and fake ones. He contends that adversaries capable of launching a long-range ballistic missile would employ decoys or other countermeasures to penetrate the system. That assertion is based on U.S. intelligence. Robert D. Walpole, a national intelligence officer, informed lawmakers Feb. 9, 2000, that North Korea and Iran “could develop countermeasures based on [readily available] technologies by the time they flight-test their missiles.” Neither Iran nor North Korea has successfully flight-tested a missile with a range greater than approximately 2,000 kilometers. The MDA has deployed a sea-based X-band radar, which would have been prohibited by the ABM Treaty, that the agency claims will help with target discrimination. The agency also is working to miniaturize EKVs so that a single interceptor can carry several at a time to engage separate objects in a target cluster. Flight testing of this Multiple Kill Vehicle program is set to start in 2012. Similarly, a March report by the Government Accountability Office (GAO), which conducts investigations for Congress, concluded the system “has not completed sufficient flight testing to provide a high level of confidence that [U.S. missile defenses] can reliably intercept ICBMs.” It applauded the MDA for generally reducing missile defense test failures and improving quality control procedures but reported that previous shortcomings may have permitted “less reliable or inappropriate parts” to be incorporated in the deployed interceptors, raising questions about their “reliability.” According to the GAO, the MDA plans to spend $65.5 million to retrofit the interceptors beginning in fiscal year 2009. When running for president, Bush derided the Clinton administration’s ground-based system as too modest. (The ABM Treaty permitted Moscow and Washington each to field up to 100 strategic ground-based interceptors at one site.) He suggested that if the United States truly wanted to shield itself against ballistic missiles, it had to break free from ABM Treaty rules against air-, sea-, space-, and mobile land-based systems as well as foreign deployments. This position reflected decades-long complaints of missile defense advocates that the only thing blocking effective defenses was treaty limits making certain technologies and basing modes off-limits. Writing in The Wall Street Journal a day after the U.S. treaty withdrawal took effect, then-Deputy Secretary of Defense Paul Wolfowitz hailed the possibilities that the MDA could now exploit. “We can now move forward with the robust development and testing program that the Department of Defense has designed to take advantage of new technologies and basing modes,” he stated. Yet, five years after the administration shed the treaty constraints and spent some $41 billion on the MDA, the U.S. inventory of systems has changed little (see table 1). Air-, sea-, space-, and mobile land-based systems to counter strategic long-range missiles or ICBMs have not materialized. The MDA has programs that fit these basing modes, but they are systems geared toward stopping shorter-range missiles and were under development prior to the treaty withdrawal. To be sure, the MDA contends some of the programs have an inherent capability against longer-range missiles or that they can be upgraded for the mission, but such claims remain unproven. Some ABM Treaty antagonists also saw great promise in fielding ship-based strategic interceptors, pointing to the then-Navy Theater Wide program as a possible model or starting point. Now known as Aegis Ballistic Missile Defense, the program has recorded eight intercepts in 10 tests involving shorter-range missiles, and MDA officials are seeking to expand its capabilities. As with the ABL program, however, the schedule has slipped. Whereas a first attempt to hit a long-range target had been predicted for as early as 2007, now it is set for 2014. The MDA’s only mobile land-based system nearing deployment is the Terminal High-Altitude Area Defense (THAAD), which is supposed to collide with missiles during their last minute or so of flight. Intercept testing of the system resumed last July after completion of an interceptor redesign that started in 1999. In the three intercept tests since then, THAAD has not missed. The system is designed to destroy missiles below the strategic threshold. A mobile land-based strategic system, the Kinetic Energy Interceptor (KEI), is in the works, but it has suffered frequent budget cuts from lawmakers who question the program’s utility. As a result, the MDA has pushed back possible deployment of the system, which has yet to be flight-tested, from 2010 to at least 2014. Space-based interceptors remain just a gleam in Obering’s eyes. “Space offers a lot of flexibility, and it offers a lot of attraction,” he testified April 25. But his agency has requested relatively modest sums to explore the option. Congress, particularly Democratic members, have signaled strong reservations about basing interceptors in orbit. In its defense authorization bill passed May 17, the House of Representatives cut nearly $800 million, including all $10 million for the space project, from the MDA’s fiscal year 2008 $8.8 billion budget request. The Senate has yet to pass its version of this bill, which will have to be reconciled with the House measure. For some missile defense doubters and opponents, the administration’s failure to bring any new systems to fruition might be bittersweet vindication of their arguments that it was premature on technical grounds to withdraw from the ABM Treaty. A number of missile defense supporters, however, knock the administration for not being aggressive enough. Daniel Goure, vice president of the nonprofit Lexington Institute, contended in an April 23 paper that the administration “went on to squander the opportunity” presented by scrapping the ABM Treaty. He suggests the KEI program be ramped up and put on ships. Other missile defense proponents such as Ambassador Henry Cooper, who headed one of the MDA’s predecessors, issued a 2006 report criticizing the administration for sticking with the ground-based system. They recommended limiting work on that system and devoting more time and effort to sea- and space-based interceptors. The report noted that the current approach ignores defending against Chinese and Russian missiles. A major point of contention when the Bush administration was maneuvering to withdraw from the ABM Treaty was how other states, particularly Russia and China, would respond. The possibility that either country might build up its arsenal in reaction to a U.S. treaty withdrawal and construction of a nationwide defense induced anxiety within Washington and worldwide. How seriously Russia fears such a scenario and how it would really respond is difficult to gauge. Moscow is seeking a new arms reduction agreement with Washington (see ACT, May 2007 ), but it also regularly speaks of retaining older weapon systems with multiple warheads and tripling the warhead capacity of its new class of Topol-M ICBMs. Estimated to have an arsenal of approximately 20 ICBMs capable of reaching the continental United States, China has stayed relatively silent about U.S. missile defense developments, even though it would appear to have greater reason than Russia to be concerned. Beijing has had a secretive, yet slow strategic modernization program underway for years, and there is little evidence that its pace or scope has changed. Chinese unease with U.S. plans, however, is viewed as stoking Beijing’s push for negotiations on the prevention of an arms race in outer space at the Geneva-based Conference on Disarmament. Washington has gained some greater international acceptance of missile defenses. In addition to winning consent from the United Kingdom and Denmark to upgrade and integrate U.S. radars on their territories into the U.S. GMD system, the Bush administration also deployed a mobile radar to Japan and is cooperating with Tokyo on improving the ship-based Aegis defense. The ABM Treaty barred any of these actions. Other countries with ongoing projects with the United States include Australia, Germany, Israel, Italy, and the Netherlands. A sea-based theater missile defense system scheduled for deployment within the next two years suffered its first failure in four intercept tries June 18. The Pentagon is now trying to figure out what went wrong. In its first test since November 2002, the Aegis Ballistic Missile Defense system was supposed to destroy a target missile minutes after its launch from Kauai Island, Hawaii. If all had worked according to plan, a kill vehicle on a Standard Missile-3 (SM-3) interceptor fired from the USS Lake Erie was to home in and collide with an Aries ballistic missile target as it rose into space. Instead, the kill vehicle and the Aries target flew past each other. The latest test marked the second in a series of six tests to be completed by the end of 2005. Unless MDA repeats the June scenario, the next test will feature a target with a separating warhead. In the tests to date, the Aries missile stays in one piece, making it a bigger target. Up to 20 SM-3 interceptors, designed to counter short- and medium-range ballistic missiles, are to be deployed on three Aegis ships as part of the Bush administration’s limited missile defense deployment scheduled for 2004 and 2005. The Pentagon also plans to outfit another 15 ships with upgraded radars to track ballistic missiles. The Aegis Ballistic Missile Defense system—formerly known as the sea-based midcourse defense and, before that, Navy Theater Wide—is not the only missile defense system set for near-term deployment that has suffered a letdown in its most recent test. The ground-based interceptor system designed to defend against long-range ballistic missiles also failed in a December 2002 intercept test. Last June 13, the United States withdrew from the 1972 Anti-Ballistic Missile (ABM) Treaty, eliminating the treaty’s limits on the U.S. ability to develop and deploy nationwide defenses against long-range ballistic missiles and dampening three decades of contentious debate over whether the United States should pursue such defenses. In the days and months leading up to the withdrawal, two sharply contrasting forecasts of the potential consequences had clashed. Missile defense proponents, who vilified the ABM Treaty as jeopardizing U.S. security by shackling efforts to protect the country against growing ballistic missile threats, suggested that rapid progress toward the deployment of effective defenses could be achieved once the treaty was abolished. Critics and skeptics of missile defense argued otherwise, warning that the treaty’s demise might make the United States less safe by provoking a new arms race. They asserted Russia might halt or reverse cuts to its nuclear forces and China could respond by expanding its arsenal, which would likely spur India and then Pakistan to follow suit. Those dubious of missile defense also added that the largest impediment to making missile defense work was not the ABM Treaty but the limits of technology. To date, neither side’s prediction has proven prescient. The United States has not made great strides toward having an operationally reliable nationwide missile defense. The limited missile defense deployment plan for 2004 and 2005 that President George W. Bush announced last December is essentially the same as that proposed by the Clinton administration. Two of the three systems to be fielded under the Bush plan would have been permitted under the ABM Treaty, which barred Washington and Moscow from deploying nationwide defenses against long-range or strategic ballistic missiles but allowed limited defenses against short- and medium-range missiles. The third system to be deployed was originally designated as part of a new test site and possibly could have been legal under the treaty. On the other hand, negative repercussions from the treaty withdrawal appear minimal. Russia criticized the move as a mistake, but no country is known to have launched or expanded a weapons buildup in response to the U.S. withdrawal. It is still too soon to draw definitive conclusions about whether the United States will derive any significant advantage from abrogating the ABM Treaty or reap more benefits than costs. Missile defense programs initiated in the withdrawal’s wake could take years to show results. Likewise, another country’s arms buildup or hostile attitude in response to the treaty’s end might take some time to become apparent. Nevertheless, preliminary assessments can be made about both sides’ claims. Since Bush’s December 13, 2001, announcement of his intention to withdraw the United States from the ABM Treaty, as well as the subsequent withdrawal, Bush administration officials have identified three main benefits of exiting the treaty. First and foremost, the United States secured the freedom to deploy any and all strategic missile defense systems that it wants, anywhere it wants. Under the treaty, the United States could deploy no more than 100 ground-based interceptors in North Dakota to protect against long-range ballistic missiles. Second, the Pentagon gained a freer hand to explore and test technologies and basing modes, such as sea- or space-based systems, that were proscribed against long-range ballistic missiles. Third, the Pentagon received greater license to pursue foreign cooperation on missile defense. Though the rhetoric has soared with the treaty’s end—J. D. Crouch, assistant secretary of defense for international security policy, described the United States as being “liberated” in a March 2003 address—measurable results have been modest. The most visible move by the Bush administration since the ABM Treaty withdrawal has been Bush’s December 17, 2002, missile defense deployment announcement. Under the plan, the Pentagon will seek to deploy a total of 10 ground-based strategic missile interceptors in 2004. Six of the interceptors are to be located at Fort Greely, Alaska, and four at Vandenberg Air Force Base, California. The Pentagon also aims to field another 10 ground-based interceptors at Fort Greely in 2005, up to 20 sea-based interceptors on three ships, and an undisclosed number of Patriot Advanced Capability-3 (PAC-3) interceptors. Although the ground-based interceptors scheduled for deployment at Fort Greely were a key element of the Clinton administration’s National Missile Defense (NMD) program and have been under development for years, they have not been tested in their final form yet. The interceptor’s booster, which carries the exoatmospheric kill vehicle (EKV) that is to collide with a warhead in space, has not been flight-tested or selected. A surrogate booster has been used in all eight intercept tests to date. Originally, the Pentagon was supposed to have a new booster for intercept testing by early 2001. However, the booster’s development has been significantly delayed. Two competing models are each to be flight-tested twice this summer. Depending on their performance, the Pentagon will choose one or keep both for future intercept testing and deployment. The system’s eight intercept tests to date—five of which have proven successful—have not been very challenging or representative of a real-world scenario. Citing range limitations and safety considerations, the Pentagon has essentially been repeating the same test at a lower altitude and slower speeds than what a real intercept is likely to demand. The target in all the tests has been equipped with a C-band transponder, and data from that transponder is used to calculate the intercept plan guiding the interceptor into space toward the target. MDA justifies this practice as necessary due to the lack of a radar in the testing area to track the target in its early stages of flight. Information on the target is also fed into the EKV before the intercept attempt so that it can identify the mock warhead from among the other objects, including decoys, in the target cluster. The decoys used in the testing, balloons that are not vaguely similar to the mock warhead, are also largely considered unrepresentative of the foils a potential enemy might employ. Despite the system’s acknowledged rudimentary and relatively untested nature, the Bush administration sees no reason not to deploy it. The underlying rationale is that something is better than nothing and can always be improved. In a May 20 document explaining its missile defense approach, the White House described the 2004 deployment as a “starting point” upon which it will add new systems when they become ready. The White House further contended that it is pursuing an “evolutionary approach” to missile defense and that there will be no “final, fixed missile defense architecture.” Democratic lawmakers have criticized this approach, claiming it results in systems being fielded prematurely. The ABM Treaty specifically ruled out the testing, development, and deployment of strategic missile defense systems or components that were air-, sea-, space-, and mobile land-based. Recognizing that neither Washington nor Moscow would be able to verify what went on behind closed doors, the treaty’s negotiators did not bar research. Moreover, the treaty did not prohibit work on TMD systems, such as the PAC-3 that saw action in Iraq. Under the treaty, however, TMD systems and their components could not be tested or used against long-range targets. In addition to the NMD program designed to counter strategic ballistic missiles, the Bush administration inherited several TMD programs from the Clinton administration. Many missile defense advocates inside and outside government were keen to see if some of these systems could contribute to or perform strategic intercepts. The ABM Treaty withdrawal provided the Pentagon with the opportunity to test such possibilities. Some missile defense supporters have suggested that THAAD, ABL, and the ship-based system, which has been renamed twice by the Bush administration and is now known as Aegis Ballistic Missile Defense (BMD), might be able to do more than just track long-range targets—that they could also shoot them down. Yet, the Pentagon has not tested this proposition largely because the three systems have not proven themselves against the missiles they were initially designed to defend against. Long-range missile warheads travel at least seven to eight kilometers per second, which is nearly twice as fast as a medium-range missile, making strategic targets more elusive. The current Aegis BMD interceptor missile is deemed too slow by half to intercept a long-range missile warhead, and it has only been tested three times against relatively big targets moving slower than a medium-range ballistic missile warhead. The THAAD system has not been tested since the summer of 1999, when it destroyed two nonstrategic targets after failing in six straight tests, and is not to be flight-tested again until late 2004. The ABL aircraft has not been equipped with its laser, and the program’s future is clouded. Kadish noted at the April hearing, “[W]e are right on the edge of making this very revolutionary technology either prove itself or fail. And we just don’t know the answer to that question yet.” If the program continues, Kadish is predicting the first ABL test against a nonstrategic target no earlier than the end of 2004. None of the three systems is scheduled to be fired against a strategic target within the next few years. The U.S. treaty withdrawal sent the Pentagon back to the drawing board for radars and sensors in general. In his April testimony, Kadish said, “I know we’re rethinking the combination of sensors…without the treaty now.” But instead of clarifying plans, the treaty withdrawal appears to have jumbled them, at least in the short term. Kadish admitted as much. “And there is a major debate inside the community…based on affordability reasons and a whole host of other technical issues. In my view, that debate is not resolved yet,” Kadish explained. During the Clinton administration, Pentagon plans called for the construction of an advanced X-band radar on Alaska’s Shemya Island, a desolate island at the western tip of the Aleutians, and the deployment of two satellite constellations (Space-Based Infrared System (SBIRS)-low and SBIRS-high) to track and discriminate among incoming ballistic missile warheads. Now, the Pentagon is planning to put the X-band radar on a sea-based platform. It has also significantly scaled back SBIRS-low and renamed it the Space Tracking and Surveillance System, while SBIRS-high has experienced a series of delays and cost overruns, pushing back its potential availability. The near-term implication is that the ground-based interceptors to be deployed in 2004 and 2005 will not be supported by sensors that were previously assessed as being important elements for any future strategic missile defense. An upgraded early-warning radar and older model sensor satellites are intended to support the interceptors, but they are less capable than the envisioned systems. The X-band radar and new satellites were not to be available until 2005 or later under the Clinton administration as well, but the nascent and troubled state of the programs has raised greater concern about when they might really be ready. One of the staunchest Senate supporters of missile defense, Senator Ted Stevens (R-AK), even expressed doubts about the direction of sensor programs, critically questioning Kadish in April about MDA’s plans to put the X-band radar on a sea-based platform. In addition to re-evaluating what sensors might do the best job of supporting a strategic missile intercept, the Pentagon is also considering new interceptor systems as well. MDA is exploring conceptual designs for miniature kill vehicles to enable multiple ones to be put on a single interceptor so it can engage several targets or decoys. A kill vehicle is the part of the interceptor that separates from the booster lifting it into space and then homes in on a target for a destructive collision. MDA also intends to soon begin evaluating designs for satellites armed with interceptors to shoot down ballistic missiles within the first few minutes after their launch. MDA intends to deploy up to three or five such satellites for testing purposes as early as 2008. Both of these concepts would have eventually run afoul of the ABM Treaty. At the same time, they are both in the preliminary stages and could have been investigated under the treaty for some time, perhaps years, before running up against the accord’s prohibition against testing and development. The White House also advocated withdrawing from the ABM Treaty so international cooperation on missile defenses could be expanded. Other countries might be invited to participate in joint research, or they could also potentially permit U.S. missile defense assets to be deployed on their territories. Although the United States has sent delegations far and wide to discuss potential missile defense cooperation, the Pentagon has few results to show for its efforts. The most tangible accomplishment has been the British government’s February decision to permit the United States to upgrade the Fylingdales early-warning radar on British territory. A similar request to the Danish government to do the same to a radar located at Thule, Greenland, has not been answered. The Pentagon’s aim is to improve the two radars’ tracking ability against missiles fired from the Middle East and enable them to guide interceptors to potential targets. Currently, the radars are limited to spotting missile launches and tracking missiles during their first few minutes of flight. State Department and Pentagon officials said they could not name any other new programs initiated with foreign governments, but they said discussions were underway. While claiming that there has been “a good deal of progress” on international cooperation, one Pentagon official interviewed May 13 remarked, “[B]ut in the terms of getting into the details of specific countries, specific programs, specific discussions, the status of programs and discussions, we’re not ready to do that.” A State Department official interviewed May 19 reported that no “blueprint-type data” has been shared with foreign governments—an action Kadish frequently cites as one of the key benefits of the treaty withdrawal. The official added that some European countries have volunteered their territory for the deployment of missile defense assets. Although only London has publicly signed up for new cooperation, Washington’s treaty withdrawal has quieted most overseas criticism of its missile defense plans. The State Department official interviewed May 19 characterized the change in tone as “remarkable,” noting that vehement opposition no longer exists and countries are more interested in exploring and discussing operational aspects of missile defenses, such as command and control issues. Reflecting this attitude shift, NATO agreed last November to undertake a study of missile defenses to protect allied territories and population against all ranges of ballistic missiles. Two NATO members, France and Germany, were leading missile defense opponents prior to the U.S. treaty withdrawal. In its May 20 missile defense paper, the Bush administration said that, in order to pursue foreign missile defense cooperation, it would review existing U.S. export regulations that could hinder joint work or the transfer of missile defense technologies abroad. The White House declared it would “seek to eliminate impediments to such cooperation.” It also stated that the United States would implement the Missile Technology Control Regime (MTCR)—an informal regime of 33 countries that aims to restrict the transfer of ballistic missiles capable of delivering a 500-kilogram payload 300 kilometers or more—in a manner so that it would not interfere with international missile defense cooperation. A State Department official interviewed May 22 said how that would be done has not been decided yet. Last summer, Deputy Assistant Secretary of State Vann Van Diepen warned in congressional testimony that the United States should be cognizant of the potential precedent it could set if it chose to allow transfers of missile systems that might fall under MTCR controls. Washington might undercut its ability to persuade other countries to abide by their MTCR commitments if the United States is also pursuing deals at odds with the regime, he suggested. The ABM Treaty did not rule out all U.S. cooperation on missile defenses with foreign governments. Israel, Japan, Italy, and Germany had programs for jointly researching or developing TMD systems underway with the United States when Bush took office. Washington and Moscow also agreed to work together in 1992 on designing two satellites for use in spotting ballistic missile launches. All of these programs are still ongoing, although some, particularly the Russian project, have been troubled. Against a North Korean Threat? A May 20 White House fact sheet on U.S. missile defense policy states that the United States is pursuing such a defense to augment its deterrence capability against states “aggressively pursuing the development of weapons of mass destruction and long-range missiles as a means of coercing the United States and our allies”—a possible reference to North Korea. Although North Korea’s long-range missile programs have been a source of concern, both administration officials and other experts have expressed concern that a nuclear-armed North Korea could present security threats that a U.S. missile defense system could not counter, such as selling fissile material to other governments or inspiring other regional powers to acquire nuclear weapons. Director of Central Intelligence George Tenet sounded a new alarm about North Korea’s missile program when he testified during a February congressional hearing that Pyongyang currently possesses a missile capable of reaching the United States. A CIA spokesperson interviewed in February cited a December 2001 National Intelligence Estimate as the agency’s most recent public assessment of North Korea’s missile program. The estimate says North Korea’s Taepo Dong-2 missile could hit parts of the continental United States in a two-stage configuration and all of North America in a three-stage configuration. North Korea has not tested these missiles, the spokesman said. The longest-range missile North Korea has flight-tested is the Taepo Dong-1, which it launched into the Sea of Japan in 1998. As configured, that missile cannot reach the United States. Pyongyang announced in September that it would extend indefinitely a 1999 moratorium on long-range missile testing. Although the scorecard appears relatively bare for those who advocated dumping the ABM Treaty, no serious negative repercussions have accumulated either. Russia and China condemned the U.S. withdrawal and still grumble occasionally about U.S. missile defense plans, but neither has announced new armament plans. There has not been an unraveling of arms control treaties as Russia threatened could happen. 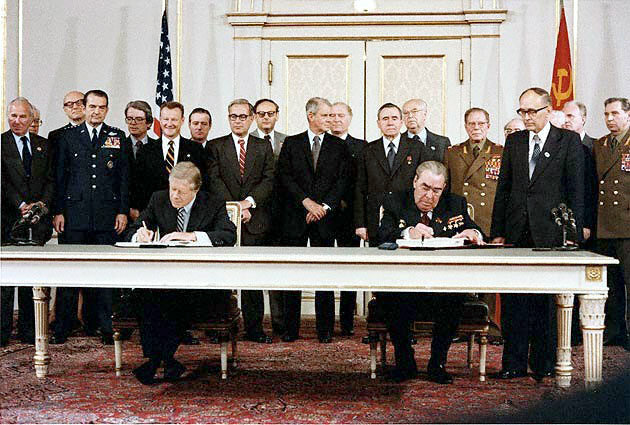 In fact, Moscow negotiated a new nuclear arms reduction agreement, the Strategic Offensive Reductions Treaty (SORT), with Washington after Bush announced his intention to scrap the ABM Treaty. Both Moscow and Beijing seem to have concluded that the technical complexity of missile defenses will hamper the United States from fielding anything in the short term that could threaten their security and therefore have adopted a wait-and-see attitude. To be sure, both countries are strongly pushing for negotiation of a treaty essentially devoted to preventing the deployment of space-based missile defenses. Any U.S. move to test or deploy such systems would generate significant anxiety and ill will, and not just from Russia and China. Harder to assess is whether the treaty withdrawal impacted other countries’ willingness to cooperate with the United States on other international security issues, such as confronting and disarming Iraq. Many countries have expressed dismay with what they perceive as the Bush administration’s unilateralist style, but the ABM Treaty withdrawal is just one of a series of actions that have elicited foreign consternation. One European diplomat based in Washington and interviewed May 16 speculated that Washington’s rejection of the Kyoto Protocol regarding global warming ranked as the U.S. act that most upset other countries. The diplomat went on to say that, politically, the withdrawal would seem to have been largely positive so far, taking into account the shift in tone surrounding missile defense globally. Nearly a year after the U.S. withdrawal from the ABM Treaty, it is as easy to identify what has not happened as what has. The United States appears no closer to deploying a working defense against strategic ballistic missiles than it was before withdrawing from the treaty. The sole system on the horizon is the same one inherited from the Clinton administration, and it still remains unproven. The possible deployment of sensors and radars for tracking long-range ballistic missiles has slipped further. Despite concerted attempts to sell other countries on the merits of missile defenses, few have bought in, although that could change. But no countries have also taken up arms against the United States for its move, and none have copied the U.S. action. North Korea’s announced withdrawal from the nuclear Nonproliferation Treaty earlier this year cannot be attributed to the U.S. ABM Treaty withdrawal, and Russia’s June 2002 declaration that it would no longer be bound by the START II nuclear arms reduction accord, which had not entered into force and was effectively superseded by SORT, was more symbolic than substantive. While not agreeing on much, some missile defense proponents and critics have contended that the U.S. ABM Treaty withdrawal, coupled with Bush’s December 2002 deployment announcement, has ended the long debate over missile defenses. Until missile defenses are proven to work, however, the expenditure of several billions of dollars per year on their research and development will surely stimulate debate. Furthermore, if the United States ultimately proves successful in fielding effective defenses, the response from other countries could make the original motivation leading to the negotiation of the ABM Treaty—the desire to avoid an offensive-defensive arms race—relevant again. President George W. Bush announced December 17, 2002, that the United States would field initial elements of a limited national missile defense system by September 2004. The United States has researched and worked on the development of missile defenses to counter ballistic missiles for more than five decades. Bush’s declaration marks the second time that the United States has moved to deploy a system against long-range missiles following negotiation of the 1972 Anti-Ballistic Missile Treaty, from which the United States withdrew June 13, 2002. The first effort, Safeguard, was shut down within a few months of being declared operational in October 1975. Under Safeguard, the United States deployed missile interceptors in North Dakota to protect an ICBM field. The Bush administration inherited seven main missile defense programs, including the strategic ground-based interceptor system, and two related satellite programs from the Clinton administration. For the most part, despite increased spending the Bush administration has not been able to accelerate the various programs’ development. A sea-based system has also been canceled, and another system, the space-based laser, has been dramatically scaled back to a general research program. The following factfile provides a brief look at each major U.S. missile defense program. It contains information on what type of ballistic missile each defense is intended to counter. Also included are Pentagon estimates on when each defense may have an initial, rudimentary capability as well as when it may be fully operational. Short- and medium-range ballistic missiles are referred to as theater ballistic missiles, whereas ICBMs, or long-range ballistic missiles, are described as strategic ballistic missiles. The ABM Treaty prohibited the development of nationwide strategic defenses but permitted development of theater missile defenses. The boost phase begins at launch and lasts until the rocket engines stop firing and pushing the missile away from Earth. Depending on the missile, this stage lasts between three and five minutes. During much of this time, the missile is traveling relatively slowly, although toward the end of this stage an ICBM can reach speeds of more than 24,000 kilometers per hour. The missile stays in one piece during this stage. The midcourse phase begins after the rockets finish firing and the missile is on a ballistic course toward its target. This is the longest stage of a missile’s flight, lasting up to 20 minutes for ICBMs. During the early part of the midcourse stage, the missile is still ascending toward its apogee, while during the latter part it is descending toward Earth. It is during this stage that the missile’s warhead, as well as any decoys, separate from the delivery vehicle. The terminal phase begins when the missile’s warhead re-enters the Earth’s atmosphere, and it continues until impact or detonation. This stage takes less than a minute for a strategic warhead, which can be traveling at speeds greater than 3,200 kilometers per hour. Short- and medium-range ballistic missiles may or may not exit the atmosphere. They also may stay in one piece instead of deploying a separating warhead, and are less likely to employ countermeasures that could accompany an ICBM. The key element of the ground-based midcourse defense is a ground-based missile interceptor consisting of a powerful multistage booster and an exoatmospheric kill vehicle (EKV), which separates from the booster in space and seeks out its target through radar updates and use of its onboard visual and infrared sensors. The EKV destroys its target by colliding with it. This process is referred to as hit-to-kill. The projected system’s goal is to intercept strategic ballistic missile warheads in the midcourse stage. To date, the system has had five successful intercept attempts in eight developmental tests. After four straight successes, the system failed to hit its target in the most recent test December 11, 2002. Another intercept attempt is not planned until at least late 2003 following the selection of a multistage booster. The development of the multistage booster is more than two years behind schedule. Early Pentagon testing plans called for the booster to be integrated into an actual intercept attempt during the first few months of 2001, but that will not occur until at least late 2003. Two companies are currently working on separate booster models, both of which will be flight-tested twice in the summer of 2003. MDA may keep both or select one of the boosters for use in future intercept testing. The Pentagon is currently planning to deploy six missile interceptors, which are to incorporate the new booster, at Fort Greely, Alaska, and four more interceptors at Vandenberg Air Force Base, California, by September 2004. Another 10 interceptors are to be deployed at Fort Greely during 2005. There are no plans to fire interceptors from Fort Greely for testing purposes. Clinton’s missile defense plans called for deployment of 20 missile interceptors in Alaska by 2005. The interceptors under the Clinton plan were to have been supported by a land-based X-band radar, but the Bush administration announced plans August 31, 2002, to develop a sea-based X-band radar instead. Pentagon plans call for the new radar, which will be put on a mobile sea platform, to be completed by September 2005. Bush’s plans also call for the missile interceptors to be supported by an upgraded, although less capable, early-warning radar on Shemya Island at the western tip of the Aleutian Islands chain. This radar, known as the Cobra Dane radar, will only be able to track missiles fired from the direction of Asia because the radar is fixed to face northwest. The key elements of the proposed sea-based defense are a ship-based missile (Standard Missile-3, or SM-3) and the Aegis combat system, an advanced system that can detect and track more than 100 targets simultaneously while directing a ship’s weapons to counter incoming air, surface, and submarine threats. The SM-3 is a hit-to-kill missile comprised of a three-stage booster with a kill vehicle. Two Pentagon reports have declared that the Aegis combat system, particularly its radar, is not capable of supporting a strategic missile defense mission. The SM-3 is also considered too slow to intercept a strategic ballistic missile. Initially, the Aegis BMD is geared toward defending against short-, medium-, and intermediate-range ballistic missiles during their midcourse stage with an emphasis on the ascent phase. Eventually, the Pentagon wants the defense to be capable of countering strategic ballistic missiles, possi-bly in the boost phase. A senior Pentagon official announced May 2, 2002, that the Pentagon would also explore whether the system can be adapted to counter short- and medium-range ballistic missiles in their terminal stage. In a January 25, 2002, test, the system intercepted a target for the first time, but the flight paths of the interceptor and target had been plotted in such a way that an intercept was expected. A second test in June, which was described as “identical” to the first, also succeeded. The third and latest test, which took place on November 21, 2002, also resulted in the target being destroyed. In this test, the target was still ascending, whereas in the previous two tests it was descending. The target used in the three intercept tests is not reflective of what the system is expected to engage in a real-world situation. The target used is larger and slower-moving than what the defense is expected to counter. Clinton administration plans called for five intercept tests to be completed by September 2002, but the Pentagon has only conducted three so far. As part of its initial missile defense capability, the Bush administration announced December 17, 2002, that it will try to deploy up to 20 sea-based interceptors on three ships during 2004 and 2005. Another 15 ships are to receive upgraded radars to improve their missile tracking capabilities. Kadish estimated in July 2001 that testing the system against long-range ballistic missiles could begin in 2007 or 2008. The key element of the proposed ABL system is a modified Boeing 747 plane equipped with a chemical oxygen-iodine laser. The laser beam is produced by a chemical reaction. Although the Pentagon originally aimed to field the ABL against theater ballistic missiles, the Pentagon now contends the ABL may have an inherent capability against strategic ballistic missiles as well. The expanded ABL objective is to shoot down all ranges of ballistic missiles in their boost phase. The first ABL test plane made its inaugural flight on July 18, 2002. The plane was not equipped with the laser, which is still under development. The Clinton administration planned for the first ABL intercept attempt to take place in 2003. The Pentagon said in 2002 that it wanted to have one ABL available for emergency use in 2004 and two or three ABL aircraft operational between 2006 and 2008. At this time, the earliest an ABL will be available for any use is 2005. THAAD’s main components are a missile comprised of a single rocket booster with a separating kill-vehicle that seeks out its target with the help of a specifically designed THAAD radar. The THAAD kill vehicle is hit-to-kill. THAAD missiles are fired from a truck-mounted launcher. THAAD’s mission is to intercept short- and medium-range ballistic missiles at the end of their midcourse stage and in the terminal stage. Intercepts could take place inside or outside the atmosphere. The system had two successful intercept attempts in the summer of 1999 after experiencing six test failures between April 1995 and March 1999. The THAAD missile is currently being redesigned. THAAD flight tests are scheduled to resume in 2004. Intercept attempts against threat-representative targets are set for 2006. Current Pentagon plans call for THAAD testing through at least 2008, although the Pentagon also envisions deploying THAAD interceptors sometime between 2006 and 2008. PAC-3 consists of a one-piece, hit-to-kill missile interceptor fired from a mobile launching station, which can carry 16 PAC-3 missiles. The missile is guided by an independent radar that sends its tracking data to the missile through a mobile engagement control station. PAC-3 is designed to defend against short- and medium-range ballistic missiles in their terminal stage at lower altitudes than the THAAD system. During earlier developmental testing, the system struck nine out of 10 targets. In four, more difficult operational tests between February and May 2002 that involved multiple interceptors and targets, seven PAC-3s were to be fired at five targets. Of the seven PAC-3s, two destroyed their targets, one hit but did not destroy its target, one missed its target, and three others did not launch. PAC-3s destroyed two Iraqi short-range ballistic missiles in the latest conflict and reportedly shot down a U.S. fighter jet. By the end of 2002, more than 50 PAC-3s had been delivered to the U.S. Army for deployment. Kadish projected in March 2003 that about 350 PAC-3s should be available for use by the end of 2005. STSS will initially comprise two satellites, but the constellation could expand to as many as 30 satellites. STSS satellites are expected to support U.S. missile defense systems by providing tracking data on missiles during their entire flight. The two STSS satellites are to be launched in fiscal year 2007. The SBIRS-low program had called for the first launch of a satellite a year earlier. The first next-generation STSS satellite is to be launched in 2011. Two satellites would provide little, if any, operational capability. The Pentagon estimates that at least 18 satellites would need to be deployed to provide coverage of key regions of concern. Worldwide coverage could require up to 30 satellites. SBIRS-high will be comprised of four satellites in geosynchronous orbit and sensors on two host satellites in a highly elliptical orbit. SBIRS-high’s primary objective is to provide early warning of global ballistic missile launches. A geosynchronous satellite launch was set for fiscal year 2005, but it is now slated for October 2006. The first payload for the two satellites in a highly elliptical orbit was supposed to be delivered in early 2003, but a U.S. Air Force spokesperson said in May 2003 that the payload “encountered issues during final testing” and that it is now scheduled for delivery later in the summer. The first geosynchronous satellite is to provide an initial operational capability in fiscal year 2007. The operation of multiple satellites is supposed to be tested in fiscal year 2009.